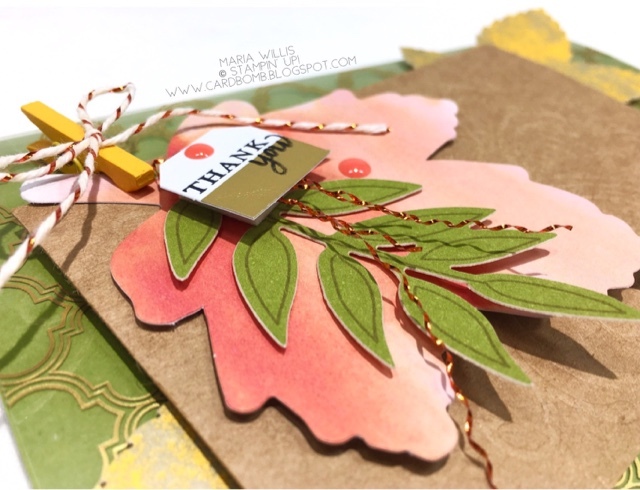 Hello Everybody and welcome to the September "A Paper Pumpkin Thing Blog Hop." If this is your first time visiting my blog- Welcome! 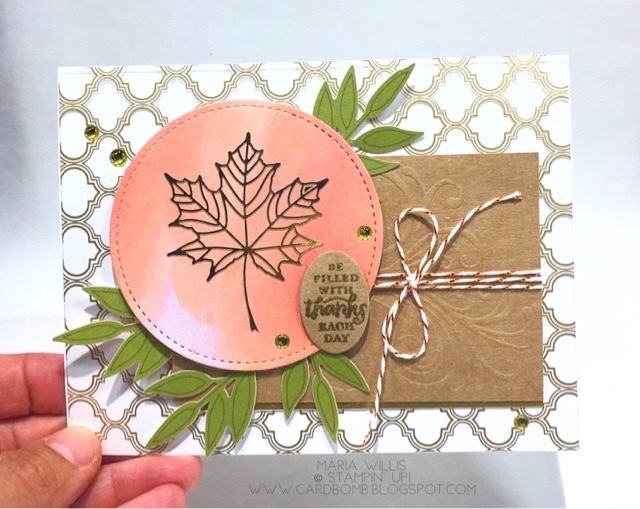 I'm a Stampin' Up! Demonstrator from California in the USA and I'm glad to have you here. Today's Paper Pumpkin hop has a ton of amazing alternative projects so make sure to click the next button at the bottom of my post. This month's PP kit doesn't have any A2 sized card bases. It's got 3'x3" cards with envelopes, pillow boxes and everything needed to decorate them. I wanted to make standard sized cards today so I improvised by adding my own card bases. For my first card I decided to go elegant. I added foiled acetate in the background over a Whisper White card base. Then I used a piece cut from a pillow box (check out the beautiful embossing) and wrapped it with the sparkly twine from the kit. I used my stitched circle framelits to cut a piece out of one of the beautiful, faux watercolored envelopes and stuck a gold leaf on it. I heat embossed the sentiment on to a scrap piece of the pillow box that I had already cut. I layered these pieces over some leaves and embellished it all with metallic gold enamel dots. Do you see that little strip of gold foil trimming the bottom of the crumb cake/pillow box piece? Have you already guessed what it is? I cut that strip out of the scrap from the gold lined tags. After you pop all of the tags out of the sheet you can use the leftover sheet for some pretty useful scraps. The gold foil scrap was long enough to trim this whole piece. I love it when I can use everything from a kit including the scraps! Oh! I almost forgot... 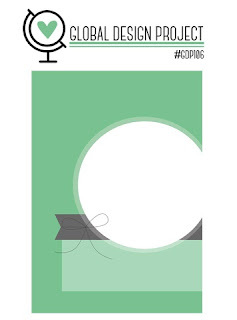 I am entering this card in this week's Global Design Project Challenge GDP#106 Head over to their challenge blog to see more cool projects inspired by this sketch. I flipped the sketch to a horizontal layout and moved the circle from right to left... but it's the same sketch! For my second card I decided to use the gold foil acetate again but this time I layered it on an Old Olive card base. Everything else on this card is from the kit except for Archival Black Ink and the enamel dots. Again, I used a piece of pillow box (same pillow box as the first card as they are embossed on both sides) as one of my layers. I slipped the yellow and gray leaves behind it added the Cajun Craze and Old Olive leaves to the top. The mini clothespin and fancy twine were the perfect way to fix the leaves to the piece of pillow box. If you look closely you'll see that I've got two elements from the PP kit that are modified. 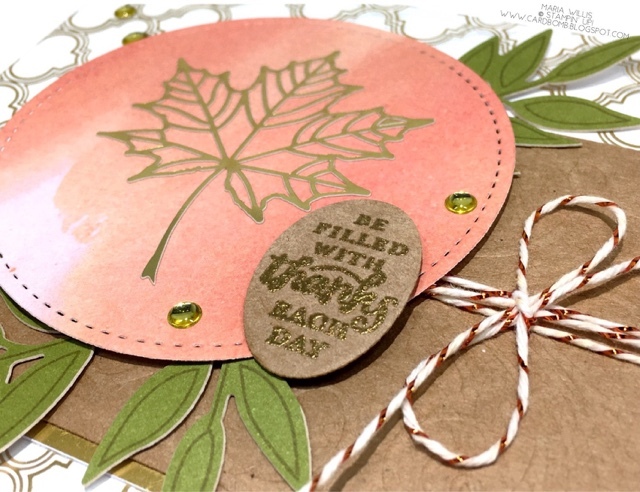 The beautiful gold trimmed tag was too long for my liking on this card as it was covering up too much of the leaves. I cut it down to a smaller size after stamping the sentiment and then I clipped the top corners off. Underneath that you can see some curly, metallic goodness... I pulled those pretties out of a piece of twine and adhered them to the back of the tag with glue dots. Well, it's getting late here folks and I need to head off to bed. I hope you liked my cards today. Please let me know if you have any questions-just leave me a comment below. Thanks for stopping by today. It was awesome to have you here as always. 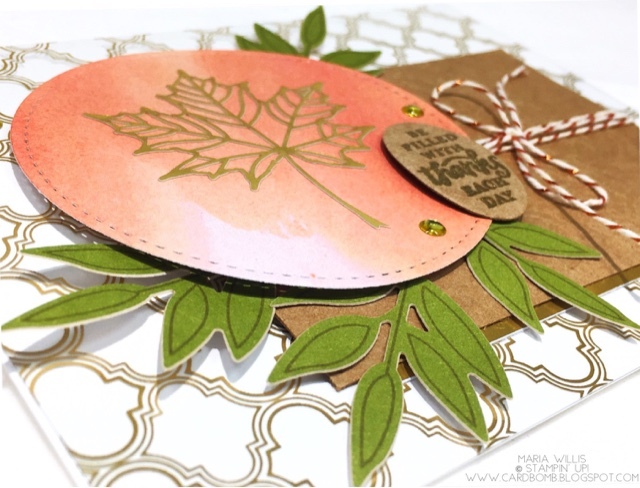 Continue along with us on this "A Paper Pumpkin Thing" hop by clicking "next" to visit the talented Megan Thompson. Maria Willis : YOU ARE HERE. 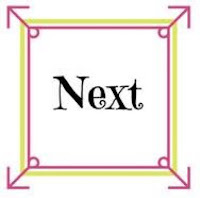 Megan Thompson : NEXT UP! Wish I had seen your idea before I made the kit as directed! This is so elegant and lovely. Thanks Carolynn! Gotta use every last piece, right?! So beautiful! I may have to case your cards!! Thank you Rachel! Please case away! Love the little gold stripe below!! Aren't you clever to use that! I did the same thing you did and pulled that little metallic piece out of the twine. And I used the left over gold foil too - great minds think alike! The acetate is a great addition to the kit contents. Great minds! Remember when that was the only way we could get metallic thread? We had to pull it out of the twine. I swear I bought twine just for the metallic part. Love the addition of that acetate, it really kicks the cards up a few notches! Paper Tole Tutorial with an Adorable Elf! Thanks For That Thing You Did! Wishing Well Birthday for Grandma!